Apocalypse simulator Darksiders was released in January 2010. The action/RPG game will be getting a sequel, but we hope you're willing to wait, because it might not be here until 2013. Brian Farrell, CEO of the game's publisher THQ, said this morning during an earnings call that the sequel to one of 2010's sleeper hits (who could have guessed grown men would love a Zelda game that looks like World of Warcraft!) would be out in fiscal year 2013, which for THQ runs from April 2012 to March 2013. Even the best-case scenario of April 2012 is still a long way away. 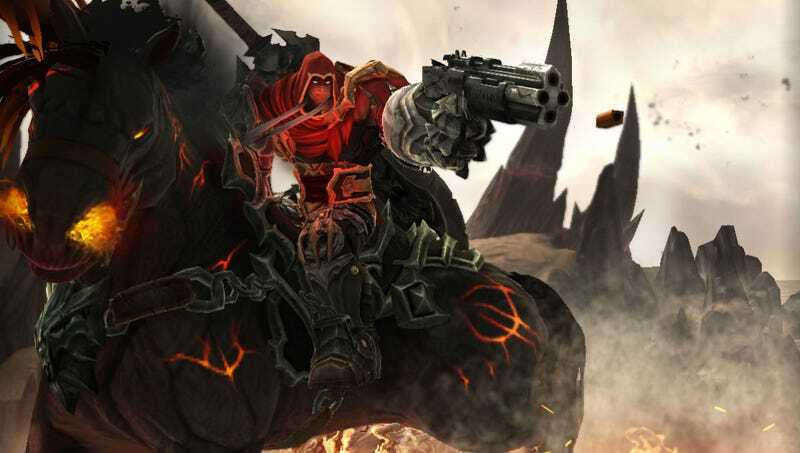 Considering the first Darksiders was supposed to be out in 2009, that's a long wait for a sequel. Makes you wonder whether the game's relative success caught THQ off-guard, the publisher not originally planning to turn the thing into a series and having to get the ball rolling on a second game only after the first one hit shelves.